Industry-specific training courses are available to help businesses get their safety practices to the required standard so as to enable them to qualify for the discount – only one person from a business needs to attend. 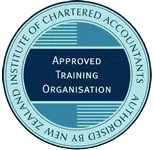 Depending on the results of the assessment a business can receive a discount on its ACC work levy of between 10% and 20%. Further information about the two programmes can be obtained from the ACC website. For further information about ACC options for the self-employed refer to link.